The big news in the Midas South African Single-Seaters (SASS) is that the championship is going to a nailbiting finale at Zwartkops Raceway. Nicholas van Weely (87 – Anglorand) and Robert Wolk (1 – Midas / Chemical Logistics / ATE) are in the fight for the title – and enter the final round on identical championship points. Race one saw Wolk take the chequered flag with Van Weely crossing for second place. Race two had Van Weely winning with Wolk finishing second. Wolk’s Formula Volkswagen suffered a puncture during the second race which provided Van Weely with all the opportunity he needed, snatching the race lead in the closing stages of that race. The pair completed the day with Wolk taking the overall victory and levelling the points table between himself and Van Weely and setting the series up for a dramatic finale on the first Saturday in November. 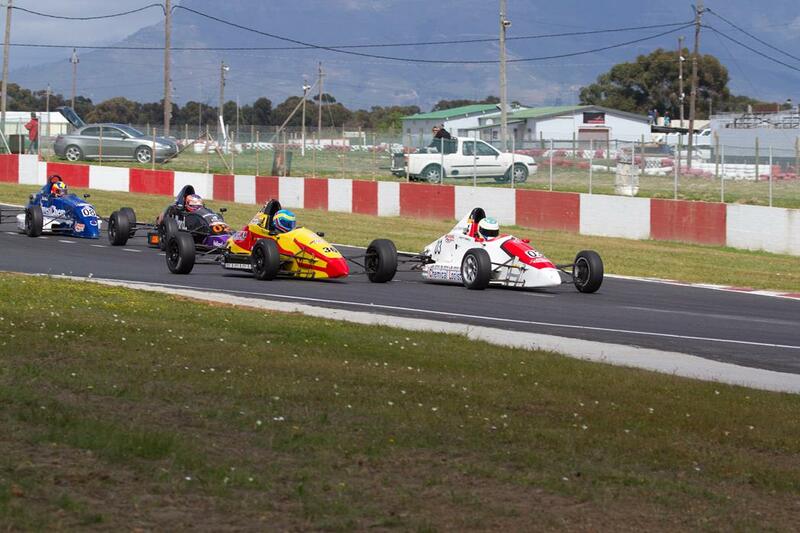 The Midas Formula 1600 racing saw Scott Temple (3 – Investchem) win race one in an event that saw hard racing for the lead with both Bevan Williams (36 – Rightway Auto-Electrical) and Keegan Campos (02 – Hollard Insurance) fighting for their share of the track. Of the three, it was Campos who was the most successful of the trio, taking the chequered flag in race two with Williams taking second and Temple taking third on the podium. Temple still claimed overall victory for the day and he enters the final round with a 10 point advantage in the title fight. 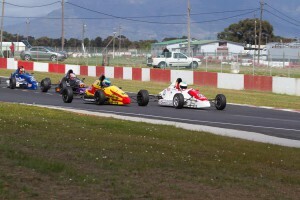 Williams’ result in the Cape sees him move into third place in the championship, just two points ahead of Graham Hepburn (04 – Suburban Bodyshop). Hepburn is unlikely to let this situation rest as is, so the fight for third in the Midas Formula 1600s is likely to also be a tense affair at the final round. For Jayde Kruger the Dunlop MSA British Formula Ford Championship race weekend at Silverstone saw him qualify at the top of the time sheets on Saturday. He started from pole for that first race, round 25 of the championship, taking the chequered flag to continue with his strong performance for the weekend. In the Sunday racing he then continued with another strong performance, winning the third of the races for the weekend – and finishing in third place in race two, from a sixth position start. This race weekend has put Kruger back at the top of the championship standings and he is tied for the lead with Scott Harrison and there is just one race weekend (three races) left in the season. 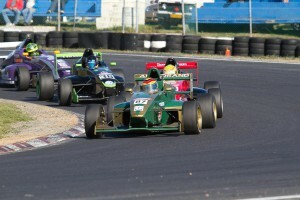 Kruger races that last round for the season at Brands Hatch on 11 and 12 October.